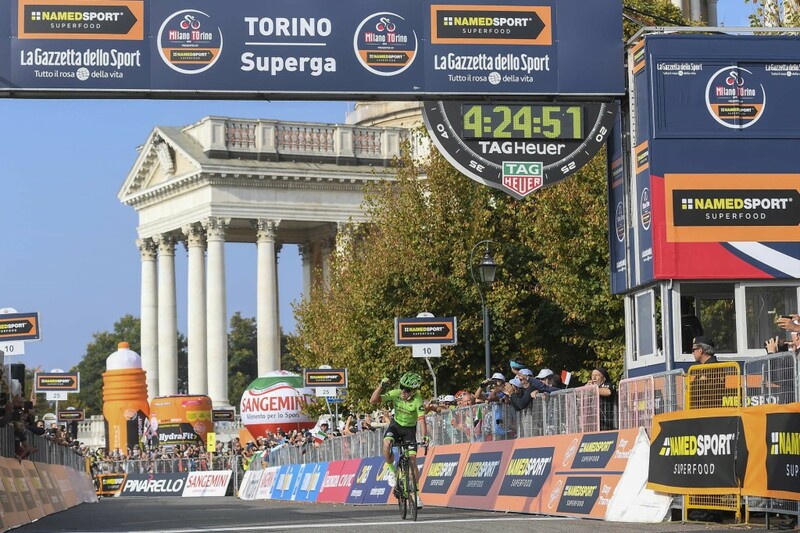 The Colombian rider Rigoberto Uran (Cannondale-Drapac Professional Cycling Team) has won the 98th Milano-Torino NamedSport, held over a 186km route from San Giuliano Milanese (Sesto Ulteriano) to the Basilica at Superga, above the city of Turin. Second finisher was Adam Yates (Orica – Scott), while the third to arrive was Fabio Aru (Astana Pro Team). Speaking seconds after the race finish, the winner said: “I’m very happy about this win. I possibly attacked a bit too early but I wanted to try from that far out because I feel I’m in very good shape, and I know this climb very well. Il Lombardia is coming and it’s great to see that I am in a good condition to push a big gear in the hills. Winning is great, but for me the most important thing is to enjoy racing as much as I did at the Tour de France”.